Long ago, at the dawn of time, when the dragons of legend were young and unknown and the grand tales of old had yet to be told, so too was the world young and all of its inhabitants. Without warning, a great evil fell over the world: Sauluma, a planet-devouring dragon descended from the cold infinity of space. Why? No one knew but his wrath was terrible. He shrouded the world in utter darkness and tore it apart with misery, violence, and death. Then The Heroes of Time arose. They banded together and stood as one to defeat Sauluma and his army of darkness. Their only salvation was to drain Sauluma of his remaining magical energy, then lock him away in a fragment of time.They knew one day that Sauluma could return. However, men forget quickly. People grew used to their security and safety. When The Heroes warned those in council and those with money and power about Sauluma’s future return, their fears were readily dismissed. The Heroes of Time knew better but were forced to carry on their conversations in secret. 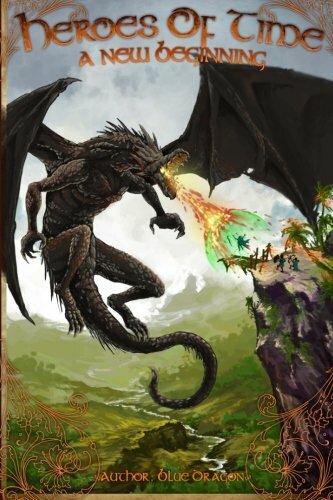 For the rest of their lives they dedicated themselves to finding a way to safeguard against Sauluma’s return – even if they themselves were long gone from the world when, and if, it ever happened. Decades, centuries, or millennia, The Heroes of Time would wait to save the world from its own folly.